Author Annette Reynolds wanted to write the memories of a selfless and devoted friend and mentor, but in the process, she discovered about 99 others who had precious memories they also wanted to share. 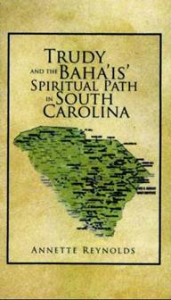 This discovery prompted her to write “Trudy and the Baha’is’ Spiritual Path in South Carolina,” (published by Xlibris) a true story that gives a glimpse into South Carolina’s Baha’i activities beginning in the mid- 1960s in Adams Run, SC. Told by personal narratives, news stories and archival research, this story revolves around the memories of Trudy, a selfless devotee of the Baha’i Faith. Baha’is’ in South Carolina and from around the world contributed stories of traveling with Trudy and sharing the Baha’i Faith. Baha’is’ from around the world were interested in and visited South Carolina throughout the story’s time frame. Reynolds’ experiences as a native of South Carolina, as well as other South Carolinians add local flavor to the story. Baha’is’ in South Carolina like Baha’is’ around the world are building spiritual communities side by side with others to create peaceful communities. Through the publication of “Trudy and the Baha’is’ Spiritual Path in South Carolina,” Reynolds hopes readers will realize that everyone can work together to build peaceful spiritual communities no matter what belief and background one comes from. Regardless of their social situations, young people have many wonderful powers to contribute to the fortunes of humanity toward peace. Annette Reynolds is a mother, grandmother and a career 4-H agent (County Extension Agent) after 30 years of service retiring as cluster director. She has worked and lived in all parts of South Carolina. She joined the Baha’i faith in 1971 and works every day to live the Baha’i life. She has served and continues to serve the Baha’i Faith in several capacities. 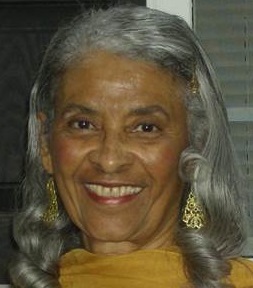 She has been volunteering in the area of domestic violence prevention since the mid 70’s. She is working on her second book titled Survivors Thrive to be published in the spring by Prysmatic Dreams Publishing. It is one view of the battered women’s movement’s work toward one path to peace – elimination of domestic violence. In this view abused women are some of the smartest, strongest, courageous, most creative and resilient women in the world. It is inspired the by true stories of survivors who thrive.